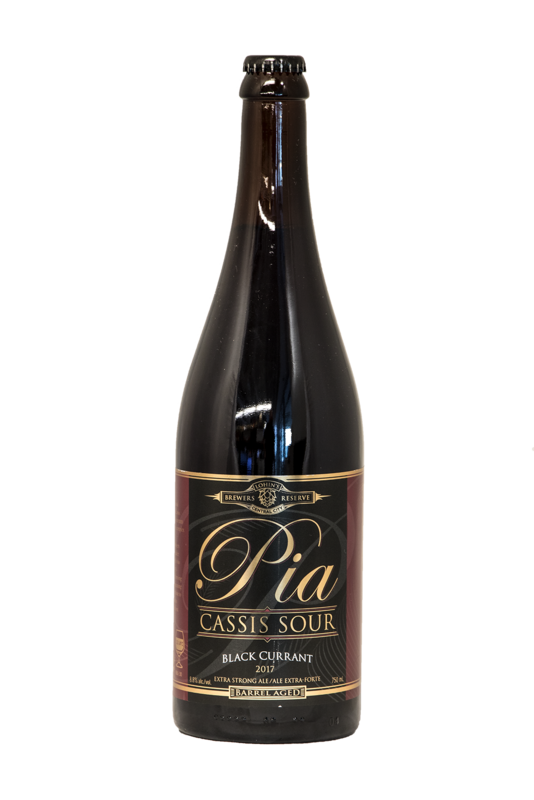 Pia is a traditional Belgian-styled Cassis. Brewed with black currants and aged in french oak, this is a complex sour ale. As the first in the Lohin’s Premium Reserve Series, Pia is named after brewmaster Gary Lohin’s wife who passed in 2014. Pia was Gary’s inspiration and champion in brewing the best beer possible. Also meaning “beer” in Hawaiian, Pia is a tribute to Gary’s greatest supporter and a continuous drive to brew the best beer possible.